I used to patronise this stall quite often when i stayed in Holland area and that was about more than 10 years ago. I remember this stall used to be manned by an elderly couple then, the elderly auntie was doing the cooking while the elderly uncle served it. I did not get to patronise as often after i moved away though i still come back as and when whenever i happened to be in the vicinity. I have stopped seeing the elderly Uncle around about a few years ago, the elderly auntie was working alone then. There was a middle-aged couple helping her when i visited a few days ago, the middle-aged lady was doing the cooking, the elderly auntie was still there but mainly to help with taking orders and collecting payments. I was the other customer waiting in queue when i was there slightly after 11 am. I was a little surprised to find out that most of the stalls were still not ready yet at that time in the food centre. This stall serves only Prawn Mee and Lor Mee but i usually just go with the Lor Mee, i do not actually remember that i ever tried their Prawn Mee before. I might have done so but it must be a really long time ago as i do not have even a slight impression of it. 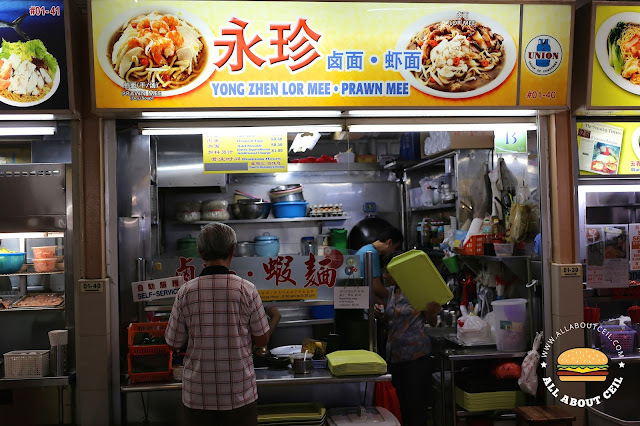 In fact, most of their regular customers go with the Lor Mee too as it is a more popular choice. 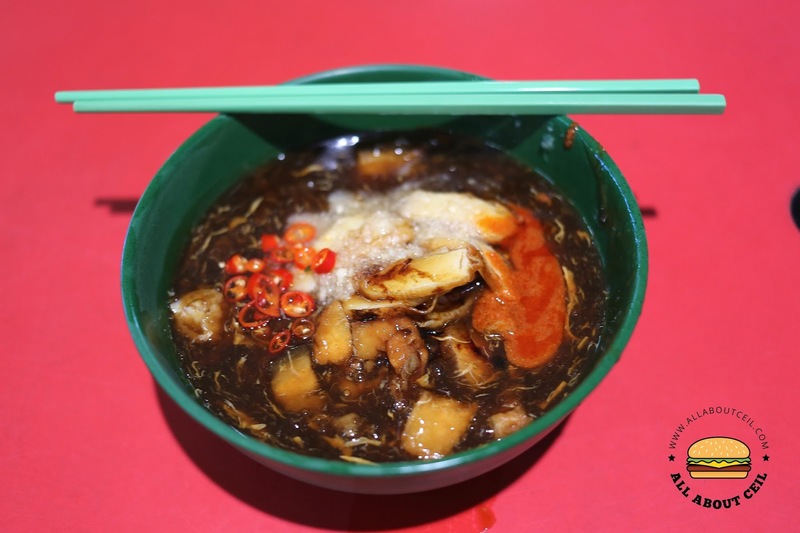 It is priced at $3.00 for a bowl serving with ingredients like slices of fish cake and pieces of braised meat with some crispy bits. If i remember correctly, they used to serve it with fried fish nuggets too but i did not find anything in my bowl this time. I even added $1 for extra ingredients but the amount added did not quite justify the value of that extra dollar. 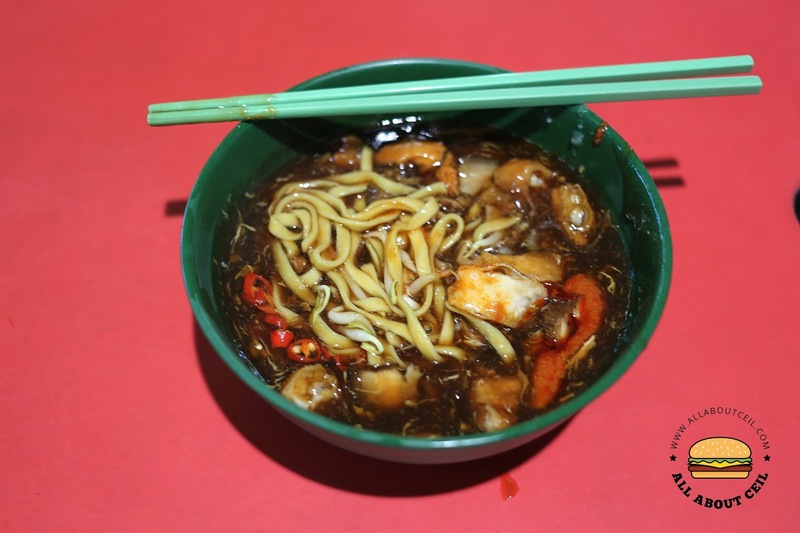 The braised egg is available at 0.50 cents per piece. I was asked whether i want to have minced garlic added and as for the chilli sauce as well as vinegar and red cut chillies are available for self-service. Apparently, it seemed to be a little different in taste, the gravy seemed lighter and not as gooey. Or, perhaps, i might have tried other better Lor Mee thus i did not find it as good as it used to be. It is still a comforting taste nonetheless.